The World Wide Web (WWW) is the biggest information construct that the world has ever seen. Nothing like the web ever existed in recorded human history. The web is neither a natural phenomenon, nor is it an artificially engineered system. It is the result of trillions of human decisions made independently. As the WWW makes inroads into most aspects of our lives, there is a growing urgency to understand how it is affecting humanity as a whole. The interdisciplinary study of Web Science was born in 2006 as a result. The Web Science for Development (WS4D 2019) workshop is part of the web science research initiative at IIIT Bangalore. WS4D 2019 is a workshop that brings together professionals from several domains, addressing three three thematic concerns, namely: Social Cognition, Data-driven Governance, and Digital Empowerment. Prof. Dame Wendy Hall, Executive Director of the Web Science Institute at the University of Southampton, would be delivering the keynote address. WS4D is organised into three working groups. Each working group comprises of invitees who have made significant contributions in the area. They would be presenting their work, and would be following it up with a focused discussion, for creating a roadmap into the future. The working groups would be speculating on open research problems, social impact and challenges, and policy issues pertaining to their thematic concern. Social Cognition: This working group addresses questions about how the web, and particularly social media and open online knowledge portals like Wikipedia, is affecting collective opinion and worldview. Social cognition is playing a central role in the making and breaking of reputations of individuals, businesses, and countries. There is a pressing need to understand social cognition in the post-web world. Data-driven Governance: This working group addresses questions about how different forms of data management processes can be woven into the fabric of administrative decision-making. These include structured data generated by different government departments, corporates and other organisations; as well as the so-called Big Data, generated from several sources like sensors, social media posts, etc. that often contain useful inputs for decision-making. Digital Empowerment: This working group addresses the question of how the WWW and digital technologies in general can be used for education and upskilling of the population at scale. As mobile phones and high-speed data connections become ubiquitous, this has created a huge opportunity for disseminating knowledge and skills to a vast population efficiently. However, a dearth of sound understanding of how this can be achieved, is still an impediment. This working group speculates about the future of digital empowerment, and makes suitable recommendations. Participants of the workshop would be invited to submit a paper to a book on Web Science for Development, envisaged as an edited volume about the proceedings of the workshop. Artificial Intelligence is set to transform society in the coming decades in ways that have long been predicted by science fiction writers but are only now becoming feasible. While AI is still a long way from being as powerful as the human brain, many machines can now outperform human beings, particularly when it comes to analysing large amounts of data. This will lead to many jobs being replaced by automated processes and machines. As with all major technological revolutions, such advancements bring with it unexpected opportunities and challenges for society with a need to consider the ethical, accountability and diversity impacts. In this talk, I will lay out why we need to take a socio-technical approach, as we have done with Web Science, to every aspect of the evolution of AI in society, to ensure that we all reap the benefits of AI and protect ourselves as much as possible from applications of AI that might be harmful to society. As Alice found when she went through the looking glass, everything is not always what it first appears to be. About the speaker: Dame Wendy Hall, DBE, FRS, FREng is Regius Professor of Computer Science, Pro Vice-Chancellor (International Engagement) and is an Executive Director of the Web Science Institute at the University of Southampton. She became a Dame Commander of the British Empire in the 2009 UK New Year’s Honours list, and is a Fellow of the Royal Society and the Royal Academy of Engineering. Dame Wendy was co-Chair of the UK government’s AI Review, which was published in October 2017, and is the first Skills Champion for AI in the UK. Despite making tremendous economic and social development progress, large swathes of India’s population still face health poverty, livelihood poverty and education poverty. India is now facing the hard end of the problem and its future development projects need to understand this problem through a different lens of inclusive development. This development trajectory will be predicated by understanding the patterns of inequality and properties of exclusion. The Centre for Open Data Research, the exclusive data research organisation of Public Affairs Centre focuses on applying data science techniques and innovative research to make data enabled decisions to solve governance and development issues. About the speakers: Gurucharan Gollerkeri is Director, Public Affairs Centre (PAC), Bangalore. 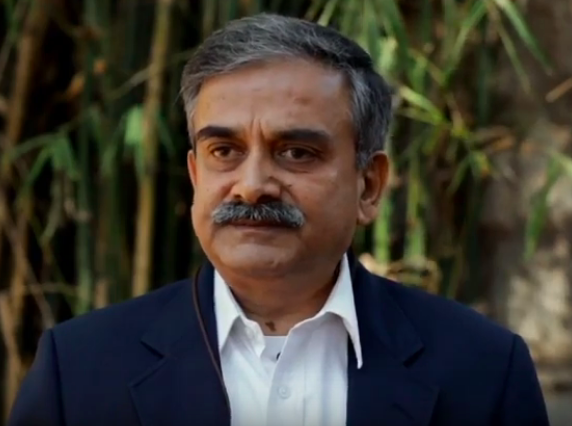 A civil servant from the Indian Administrative Service, in the higher echelons of Government for over 34 years, he retired as Secretary to the Government of India, in 2016. He servedwith distinction as the first director of the India Centre for Migration (ICM), a policy ‘think- tank’ on International Migration, during 2010-13. Based on his work at the ICM, he co-authored ‘Migration Matters: Mobility in a Globalizing World’ (OUP, 2016). In 2004-05, Mr. Gollerkeri was a Visiting Fellow at the Centre for Public Policy at the Indian Institute of Management, Bangalore. Asha Subramanian heads the Centre for Open Data Research (CODR) at Public Affairs Centre, Bangalore, India with a focus on applying data sciences research to promote data empowereddecisions towards good governance. She has a rich Information Technology industry background with over two decades of program management and delivery experience. She holds a Ph.D in Data Science from the International Institute of Information Technology, Bangalore and a Masters in Statistics from Indian Statistical Institute Calcutta. 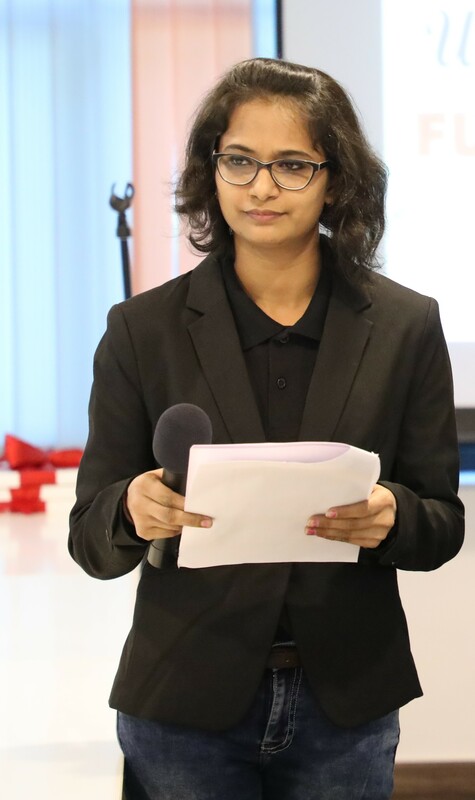 Her research interest include knowledge representation and reasoning models, semantic web, machine learning and graph networks, particularly focusing on developing unique models that can bring all these technology domains together to better understand data and it’s context. Her recent publications include a chapter on “Semantic Interpretation and Integration of Open Data Tables.” in the book Geospatial Infrastructure, Applications and Technologies : India Case Studies. Springer International Publishing, 2018. Videos account for about 75% of the internet traffic and enterprises are increasingly using videos for various informational purposes, including training of customers, partners and employees, marketing and internal communication. However, most viewers do not have the time to watch these videos end-to-end and our video watching experience has not evolved much in over a decade. We present an AI-based approach to automatically index videos in the form of a table-of-contents, a phrase cloud and a searchable transcript, which helps summarize the key topics in a video and lets viewers navigate directly to the topics of interest. We use a combination of visual classification, object detection, automated speech recognition, text summarization, and domain classification, and show the results achieved on a range of informational videos. We conclude with some thoughts on the promise of transforming how informational videos are consumed as well as open problems and future directions. 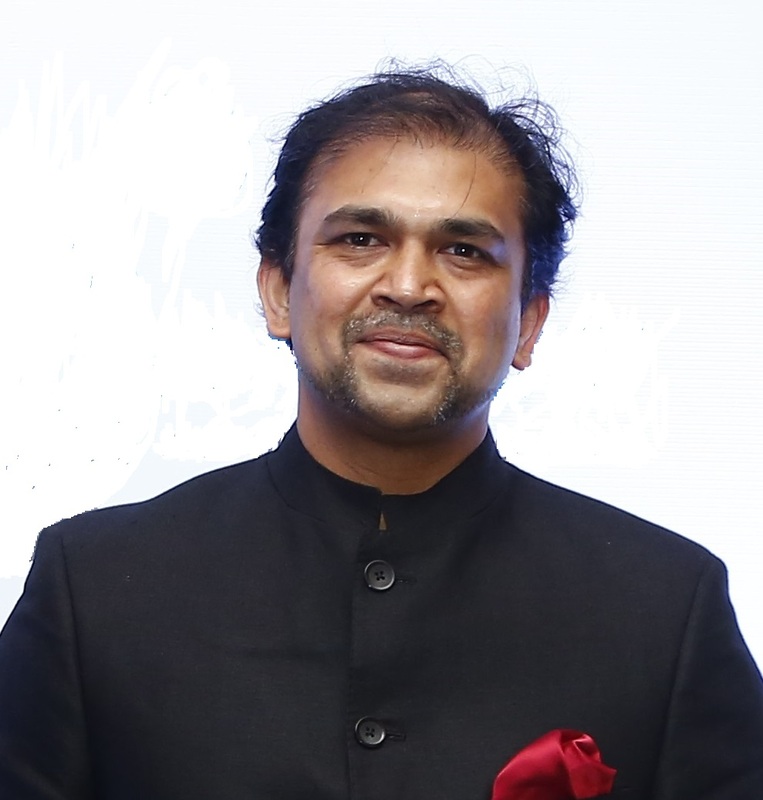 About the speaker: Dr. Manish Gupta is a co-founder and CEO of VideoKen, a video technology startup, and the Infosys Foundation Chair Professor at IIIT Bangalore. Previously, Manish has served as Vice President and Director of Xerox Research Centre India and has held various leadership positions with IBM, including that of Director, IBM Research – India and Chief Technologist, IBM India/South Asia. As a Senior Manager at the IBM T.J. Watson Research Center in Yorktown Heights, New York, Manish led the team developing system software for the Blue Gene/L supercomputer. IBM was awarded a National Medal of Technology and Innovation for Blue Gene by US President Barack Obama in 2009. Manish holds a Ph.D. in Computer Science from the University of Illinois at Urbana Champaign. He has co-authored about 75 papers, with more than 7,000 citations in Google Scholar, and has been granted 19 US patents. While at IBM, Manish received two Outstanding Technical Achievement Awards, an Outstanding Innovation Award, and the Lou Gerstner Team Award for Client Excellence. Manish is a Fellow of ACM and the Indian National Academy of Engineering, and a recipient of a Distinguished Alumnus Award from IIT Delhi. Inspired by business interest in social media and social network analytics, this talk uses the Rana Plaza factory collapse as an event study to tease out possible enterprise lessons concerning organisational image. The research mixes theory data analysis to understand how social media influenced and affected the corporate social responsibility reactions from firms involved in the disaster. We follow eight brands and produce sentiment, risk, and social network analyses to highlight how the factory collapse impacted organisational image and to understand what firms could do to mitigate the damage to organisational image caused by their involvement. Using lessons from social movement theory, we show that organisational image is dependent upon stakeholder management and brand reputation. Furthermore, we show why brand reputation is the most valuable part of brand equity and the key to future opportunities. Using these findings we formulate recommendations for firms seeking to protect organisational image. About the speaker: Dr. Jai Ganesh is the Senior Vice President and Head of Mphasis NEXTLabs. He is a Product and Service Innovation leader with extensive experience in inventing, conceptualizing, building and commercializing successful technology product and service innovations. Under his leadership, NEXTLabs has created several global award-winning solutions, products and service offerings. Recent awards won include AIconics 2017 for ‘Best application of AI in Financial Services’ and Business Intelligence Group’s ‘2018 Stratus Awards for Cloud Computing’. Jai consults and co-creates with leading global corporations to formulate their digital transformation strategy and build advanced AI driven solutions. He focuses on applied research and innovation in areas such as Data Science, Social Network Analysis, Machine Learning, Deep Learning, Artificial Intelligence, Natural Language Processing, Cloud Computing and Automation. Jai is a prolific inventor with several granted patents as well as publications in leading peer reviewed journals and conferences. He is a PhD from Indian Institute of Management Bangalore (IIMB) and also has an MBA. Jai is a recipient of the Chevening Rolls-Royce Science and Innovation Fellowship at the University of Oxford. The accessibility of content for all has been a key goal of the Web since its conception. However, true accessibility — access to relevant content in the global context — has been elusive for reasons that extend beyond physical accessibility issues. Among them are the spoken languages, literacy levels, expertise, and culture. These issues are highly significant, since information may not reach those who are the most in need of it. For example, the minimum wage laws that are published in legalese on government sites and the low-literate and immigrant populations. While some organisations and volunteers work on bridging such gaps by creating and disseminating alternative versions of such content, Web scale solutions much be developed to take advantage of its distributed dissemination capabilities. This work examines content accessibility from the perspective of inclusiveness. For this purpose, a human in the loop approach for renarrating Web content is proposed, where a renarrator creates an alternative narrative of some Web content with the intent of extending its reach. Renarrations are Web Annotations resulting in a more inclusive and decentralised social semantic web. We define an online collective phenomenon called social synchrony that occurs in the online social networks. Social synchrony is a particular kind of collective social behavior where the number of people who perform a certain action first increases and then decreases. We redefine this phenomenon and propose a method to detect it. Secondly, we apply the concept of online social synchrony for event detection. We propose a method to detect the presence of events from Twitter data using the concept of social synchrony. 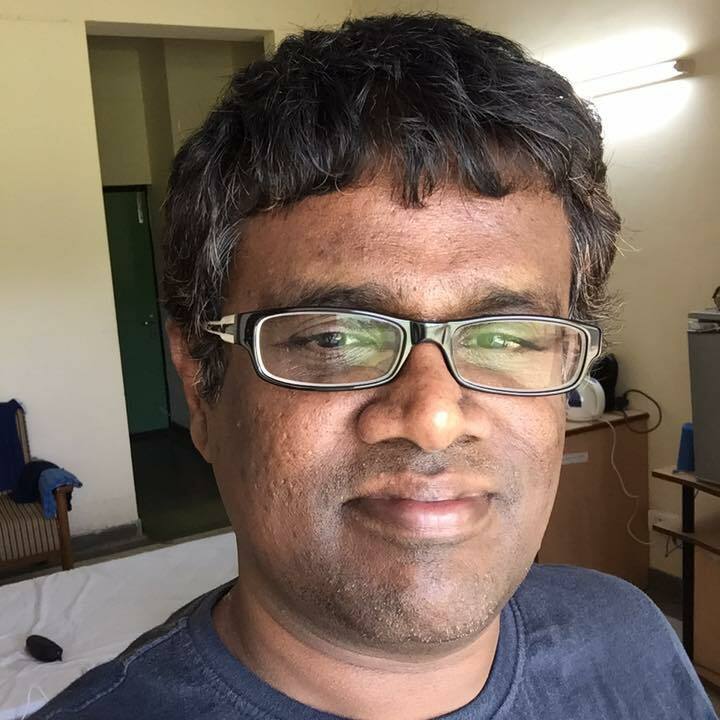 About the Speaker: Prof. Sakthi Balan is an Associate Professor in the Department of Computer Science and Engineering, The LNM Institute of Information Technology, Jaipur. His main focus of research is in the area of Web Science wherein he works specifically in Social Network Analysis. He has previously worked in the area of Theoretical Computer Science. He graduated in 2004 from the Department of Computer Science and Engineering, IIT Madras. During his PhD he received Infosys Fellow- ship. After his graduation he worked in Canada as a Postdoctoral Fellow for three years in the Department of Computer Science, University of Western Ontario, London, Ontario, Canada. In 2008 he joined Infosys Technologies Limited, Bangalore and worked until 2015. From 2015 on- wards he is with LNMIIT. He has around 35 publications collectively in the areas of Web Science and Theoretical Computer Science. Sociologist Erving Goffman in his dramaturgical analysis (1959) explains social interactions as if it were a play performed on a stage for an audience. The key to study such interactions, in his understanding, is not the individual and his psychology, but “the syntactical relations among the acts of different persons mutually present to one another” (Goffman 1967, Interaction Ritual, pp. 2 as cited in Schegloff 1988 pp. 94). Accordingly, this framework has been applied in the analysis of human-human interactions on online platforms (e.g., Hogan, 2010; Bullingham & Vasconcelos, 2013) and in the analysis of human-machine interactions (e.g., Bucher, 2014; Lee, Frank, Beute, de Kort., & IJsselsteijn, 2017). We extend Goffman’s dramaturgical framework to analyse the interactions that take place between humans and conversational agents such as Alexa, Google Assistant and so on. We see these assistants as performative agents engaging in social interactions with their human counterparts where in the “backstage” of both human and non-human remain inaccessible (Latour, 1996). We ask, what are the different types of strategies the voice assistants can employ for “impression management”? How can we analyze these strategies without having access to the “backstage”? How do the conversational agents maintain decorum of expected behavior? With this analytical approach, we aim to understand to what extent sustained “natural” conversations may take place between humans and conversational agents. About the speaker: Prof. Bidisha Chaudhuri has joined the institute in 2013. She has completed her PhD from the South Asia Institute at the Heidelberg University, Germany in 2012. The title of her doctoral thesis was Hybridising (e) Governance in India: The Interplay of Politics, Technology and Culture. She received an M.A in Sociology from Delhi School of Economics, University of Delhi and a Joint European Masters in Global Studies from University of Leipzig (Germany) and Vienna University (Austria). She has worked in research institutions and developmental organisations in India and abroad. Her research interests include governance, gender and development, information communication technology (ICT) for development, policy reform and South Asian politics. Our understanding of the web has been evolving from a large database of information to a Socio – Cognitive Space, where humans are not just using the web but participating in the web. World wide web has evolved into the largest source of information in the history, and it continues to grow without any known agenda. The web needs to be observed and studied to understand various impacts of it on the society (both positive and negative) and shape the future of the web and the society. This gave rise to the global grid of Web Observatories which focus and observe various aspects of the web. Web Observatories aim to share and collaborate various data sets, analysis tools and applications with all web observatories across the world. We plan to design and develop a Web Observatory called Cogno to observe and understand online social cognition. We propose that the social media on the web is acting as a Marketplace of Opinions where multiple users with differing interests exchange opinions. For a given trending topic on social media, we propose a model to identify the Signature of the trending topic which characterises the discourse around the topic. About the speaker: Raksha P.S is a PhD Student at Web Science Lab. She has a Master’s degree in Web Technology from PES Institute Of Technology, Bangalore and Bachelor’s degree in Computer Science from K S Institute Of Technology, Bangalore. Prior to joining IIITB she has worked as a Big Data Engineer at Cogknit Semantics Pvt Ltd, Bangalore. Previously she has worked on Ontology Based Semantic Data Validation, Big Data, Data Visualisation using D3.js, Web Crawlers and Developing Learning Management System. Currently she is working on Characterising online social cognition as a marketplace of opinions. Discourses around technology use and access often privilege the notion of the ‘user’ in the design of products and systems. However, an exclusive focus on the ‘user’ could also prevent designers from recognising the conditions and contexts that produce non-use, and which in turn can challenge potential users from interacting and engaging with technology systems. Using the example of WiFi infrastructures, this talk will offer insights on how space and gender interact to construct users, non-users, and their experiences of public WiFi hotspots. As infrastructures, WiFi networks are thought to privilege democratic notions of freedom and connectivity by rendering space salient as networked areas that require users to only have a WiFi enabled device to get online. However, the kind of spaces that WiFi networks occupy are not always accessible by women even though they are ostensibly public in nature. Additionally, social norms that restrict and confine women’s mobilities to certain sanctioned areas do not allow their Internet and digital literacies to be visible in the same way as men who are easily recognised as active and often default users of technology and the Internet. The invisibility of women thus struggles to create a presence as desirable subjects of the Internet and related infrastructure deployments. Drawing on researcher reflexivity, observations, and interviews around WiFi access and use in a rural community in Rajasthan, India, this talk will reflect on how recognising subjectivities of use and non-use can contribute towards more inclusive user design. About the speaker: Prof. Preeti Mudliar’s research interests centre around using ethnographic methods and analyses to study social contexts around technology access and use. She is particularly interested in the ways in which gender constitutes the lived experiences of people and finds herself researching and writing about gender both intentionally and serendipitously. Her work has been published in human-computer interaction (HCI) venues such as CHI and CSCW. She holds a Bachelor’s and a Master’s degrees in Commerce and Communication Studies from the University of Pune and a PhD in Communication Studies from the University of Texas, Austin. She is currently an assistant professor at IIIT-Bangalore. There has been a significant rise in the gross enrolment ratio of the students in public schools over the past few decades. However, there is a decline in their learning outcomes, which results from staff crunch, crowded classrooms and insufficient infrastructure. Moreover, students are learning less as they move to higher classes. National Achievement Survey – 2017 shows that the national average score of a grade 8 student was barely 40% in Maths, Science and Social Studies. The survey also highlights the fact the country is short of at least 10 lakhs qualified teachers. With the advent of technology and AI, Personalised Adaptive Learning solutions might solve the current education crisis. With the belief that every child is unique, funtoot, an Intelligent Tutoring System designs a personalised learning path for each child. Funtoot tailors the teaching instructions according to the knowledge states of each learner and leads the learner towards her unique learning trajectory. In this talk, we will have a close look at funtoot and its impact on the students of public schools. 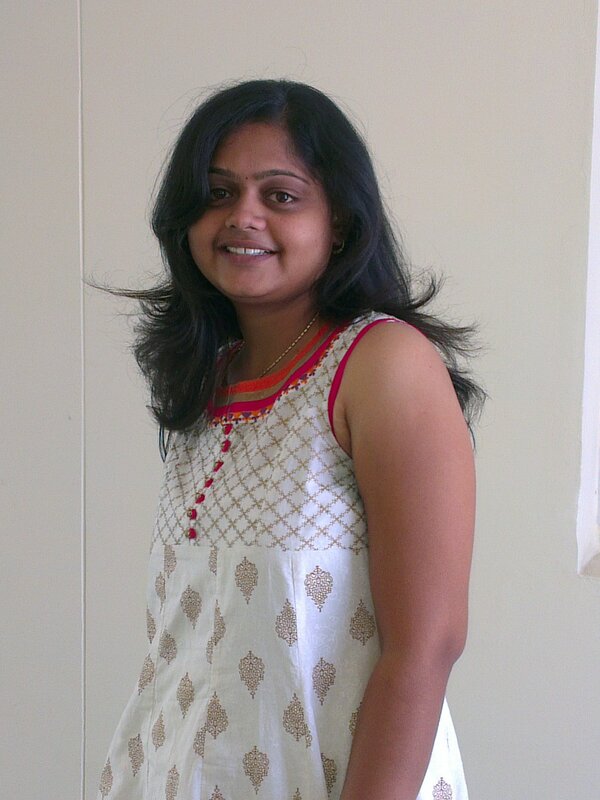 About the speaker: Sweety Agrawal is currently working as a Data Scientist in funtoot. She holds MS by Research degree focused in Data Science from International Institute of Information Technology, Bangalore. Her current work is focused on applying machine learning, deep learning, artificial intelligence, and learning science to enrich their Intelligent Tutor (funtoot).